As a trusted strategic partner and community advocate, Dr. Nii-Quartelai Quartey brings leaders together to build powerful networks of inclusion committed to a more fair and just society for all. Currently, as Senior Advisor and National LGBT Liaison at AARP, he serves as a strategic advisor to the Senior Vice President of Multicultural Leadership. 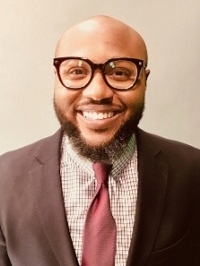 In addition, he serves in a consultative enterprise-wide role charged with building national awareness and deepening community engagement to advance AARP’s social impact agenda through an intersectional approach. As a coalition builder, LGBTQ public affairs professional, and corporate social responsibility scholar-practitioner, Dr. Quartey is dedicated to advancing the affirming influence of corporate and non-profit executives on LGBTQ civil rights. Previously, as National Strategic Partnership Manager at American Heart Association, Dr. Quartey co-created a consortium model to power a half dozen national coalitions that achieved nearly 50 policy wins across the country to reverse the effects of childhood obesity on state and local level. He began his activism at the age of 13 as a student organizer for Oprah Winfrey’s Angel Network campaign in partnership with Boys and Girls Club of America. This experience, which gave him national exposure on “The Oprah Winfrey Show,” sparked the beginning of what has become a purposeful career as an advocate and changemaker. Dr. Quartey has a Bachelor of Arts Degree in Political Science with a Minor Degree in Critical Approaches to Leadership from the University of Southern California, Master of Arts Degree in Social Entrepreneurship & Change from Pepperdine University, and Doctorate of Education in Organizational Leadership also from Pepperdine University.